This book offers readers an overview of the field of toxicology while incorporating historical context with present day advances. The chapters, written in a style that facilitates the reader’s connection of past developments with the present state-of-the-art practices in specific fields of toxicology, provide a detailed coverage of diverse areas in toxicology. 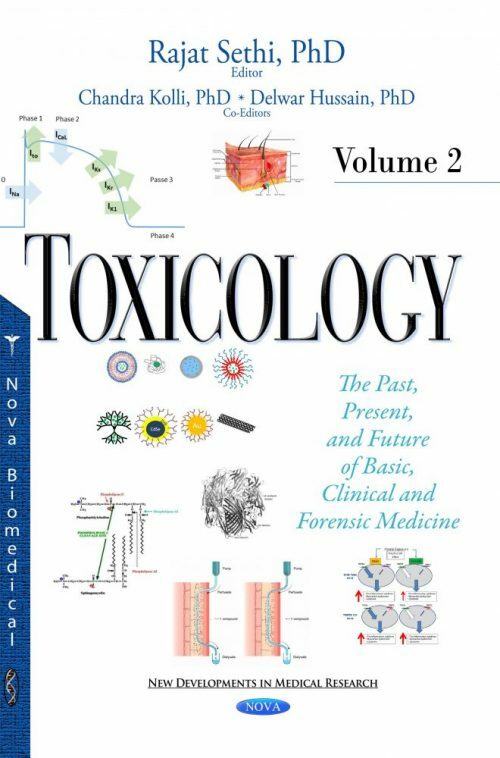 The areas of chapters chosen for detailed discussion are characteristic of the overall field and helps to reinforce the basic principles of toxicology. As such, this book will be a valuable resource not only for those scientists in the field of toxicology, but also for those in related fields (e.g., pharmacology, physiology, microbiology, biochemistry, immunology and others). Additionally, this book will be a valuable resource for teaching graduate students in not only toxicology, but also in the related fields above. While this book is not primarily intended as an introductory text for undergraduate students’ first exposure to the field of toxicology, it would serve very useful as a text for an advanced undergraduate level biology or chemistry course. The chapters are filled with appropriate tables and figures which help illustrate and reinforce the information in each chapter. The referencing of material cited is carefully prepared and provides links to additional information that will aid the reader in understanding and appreciating the information within the text. The reader will find this book to be of significant depth and breadth so as to meet the needs of many groups of students and established scientists.